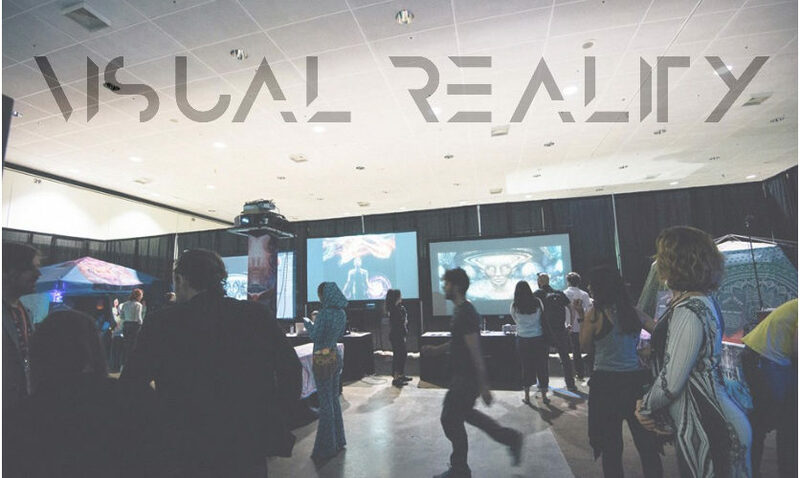 The world’s largest VR event, VRLA is always an exciting place to catch the latest developments in VR and AR tech. The April 2017 expo added a space dedicated to showcasing digital art and artistry inside the Visionary Art Zone, and SUBPAC was there to help tell the story. Visual Reality, a mixed media artist collective from Santa Monica was brought onboard to co-produce the Visionary Art Zone at VRLA. The Founders Torkom Ji, Michael Strauss, and Anshul Pendse host a monthly Visual Reality event at Continuum Studio in Santa Monica that ties together community, VR experiences, art, sound healing, and visuals into an immersive and therapeutic experience. At Visual Reality, each installation integrates the use of SUBPAC to enhance the user’s connection to the experience. “Inner Activity”, a multi-sensory virtual reality art installation created by Anshul Pendse, utilizes SUBPAC to add a physical component to a VR journey, which in turn increases the level of immersion while also alleviating symptoms of simulator sickness in virtual reality. 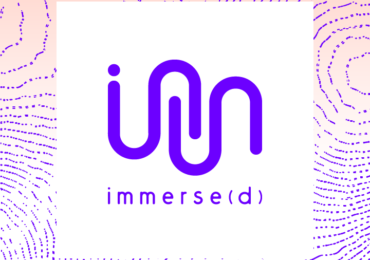 The project explores embedding vibro-acoustic and aroma therapy practices into immersive VR rides to create therapeutic entertainment experiences. Live electronic musician Torkom Ji utilizes SUBPAC and Audeze headphones to connect to people more deeply with his real-time sound healing orchestrations. Visual Reality at The Visionary Art Zone was produced in conjunction with VRLA, Ryan Origin, Audeze, and SUBPAC, and became one of the most talked-about experiences of the expo. The overall setting was inviting, warm, and fluid. Digital artists could be found painting and forming visionary art live, while their process was projected across the back of the activation for all to see. Multiple VR experiences could be found along the edges of this 60 X 30 expanse, lighting up faces with curious excitement. Master sound healer and electronic musician Torkom Ji hosted 10 minute vibrational sound healing journeys utilizing SUBPAC that became the most popular part of the Visionary Art Zone, with wait times upwards of 45 minutes and lines around the activation. Torkom utilized an array of 7 SUBPAC S2’s hooked up into a direct feed of his 432hz tuned live healing sonics. After the healing session, visitors left the space feeling relaxed and open, and ready to dive into VR experiences. The Visual Reality space was designed to connect people with their inner flow, while showcasing varied art and technology in a way that felt natural and cohesive. Each corner had something unique and exciting to dive into. , Michael Strauss, Ben Ridgway, Yayfuzzy, Salva Droid, Abhi Thati, and Vezika. Continuing the Visual Reality theme of flow and space aided by technology, SUBPAC-affiliated artists such as David Starfire, Treavor Moontribe, Torkom Ji, Origin, and Imagika Om delivered soundscapes and downtempo beats. Zach Krausnick, the designer of Galactic Gallery, offers a new way of experiencing visionary art with his HTC Vive experience. The VR Galactic Gallery experience is an aesthetically driven VR experience exploring intersections between traditional and new media. It features art from Android Jones, Mars1, Chris Dyer, Mugwort, Mear One, Xavi, Luke Brown, Amanda Sage, and Hans Haveron. 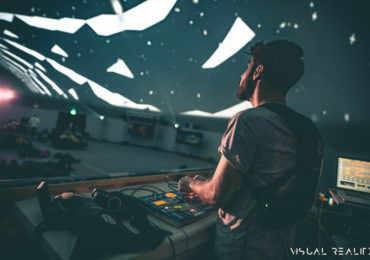 David Starfire designed sounds to match the Galactic Gallery VR space, specifically tailored for the SUBPAC physical audio device another way to connect to the experience.